While the expectation from a typical Sports Bar is that they have a huge white screen for telecasting matches, Underdoggs provides much more. 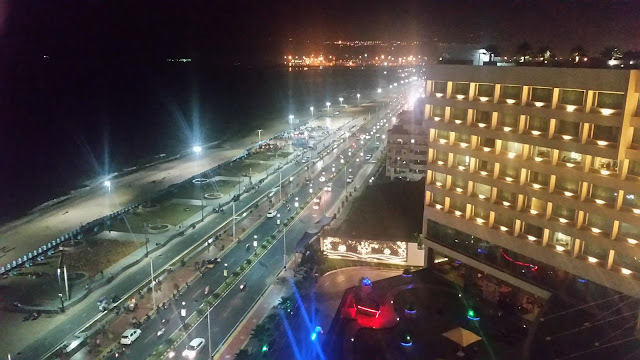 Spread over two floors in the same complex which houses Brewsky, the insides are quite big and spacious with tons of indoor sports arrangements like foosball tables, carom boards, pool tables, dart boards, table tennis and various board games which shall make sure that one has a good time no matter what. 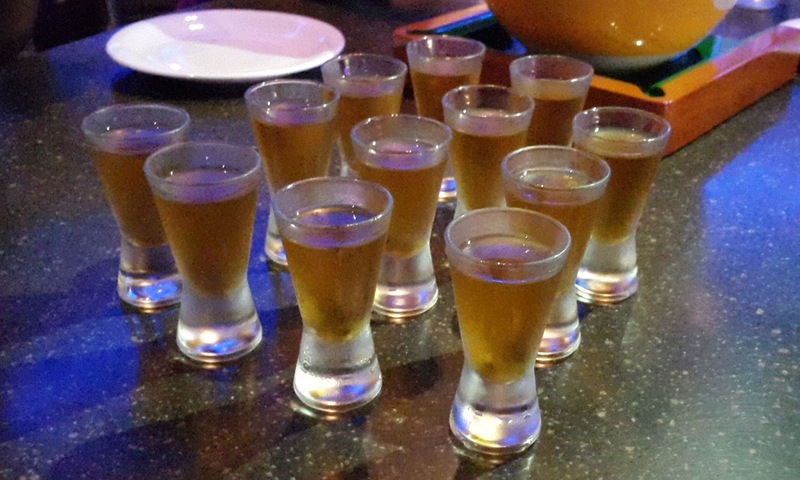 Invited for the preview of the Sports Bar by VIPTable, a portal offering table bookings in restaurants, and the management, we started off with the Cinnamon Whisky Shots. A creation quite close to the Jagermeister's Spice Cinnamon and Vanilla Blend or the Fireball Cinnamon Whisky, the shot burns right down the throat with the cinnamon adding a distinct aftertaste. The most beautiful part is that the recoil time of the shot, which is quite low and even though I had just gulped one down, I was ready to shoot more almost immediately. The main attraction of the evening was the signature chicken wings unique to Underdoggs. Available in 14 different varieties marinated with sauces, they were served up char-grilled or fried. My favourite of the lot was the Harissa Chicken Wings. 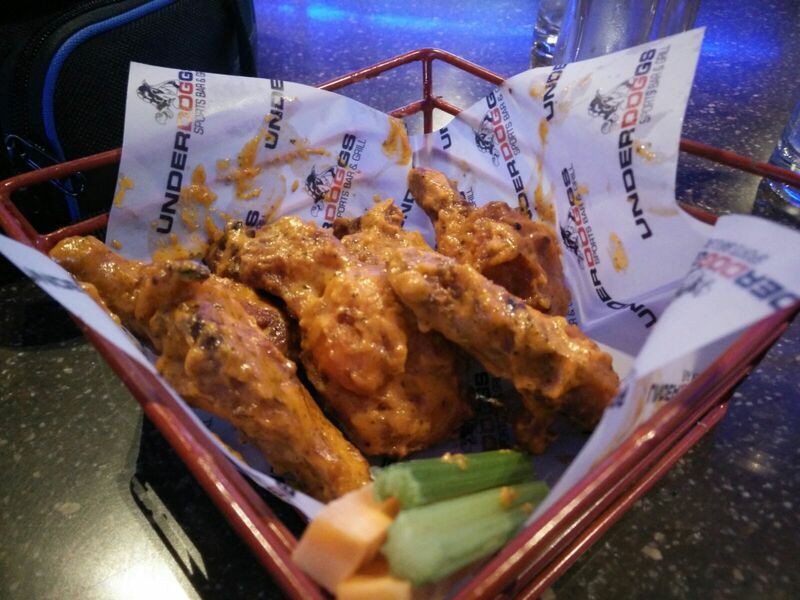 Made with the goodness of chilli peppers, the wings were extremely spicy, but the taste buds eventually adapt to the spice and the flavour grows on you. Other interesting flavours included the Cajun Alfredo, Honey Chilli Garlic and Butter Chicken. The Cajun Alfredo Chicken Wings as the name suggests was a bit on the sweeter side with a more creamy texture than the others. 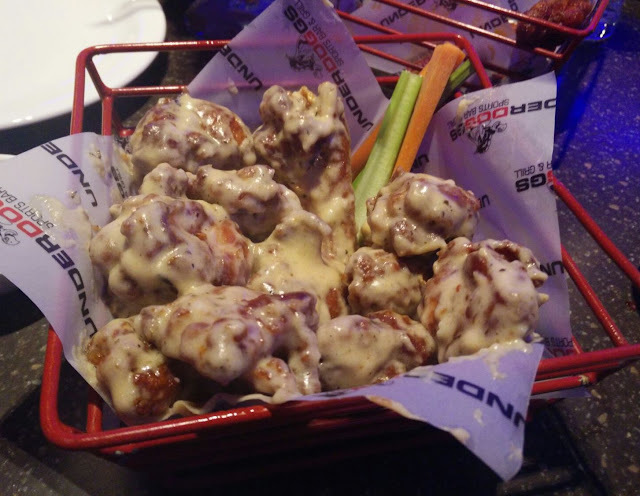 It would be perhaps better named as Alfredo Chicken Wings as the Cajun spices felt quite mellowed down and overpowered by the Alfredo sauce. The Butter Chicken Wings were something that I was tasting for the first time. 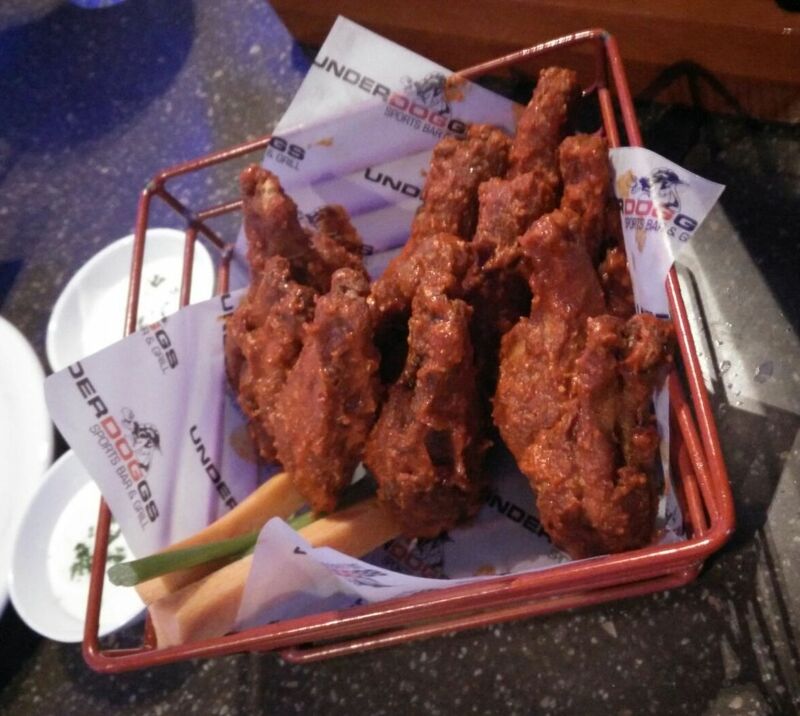 Quite a unique dish, it combined the flavours of the American style wings in a marinade of the Indian Butter Chicken. The dish tasted extremely well when it was served hot but goes horribly wrong when it is cold, so its better to clear the plate sooner rather than later. 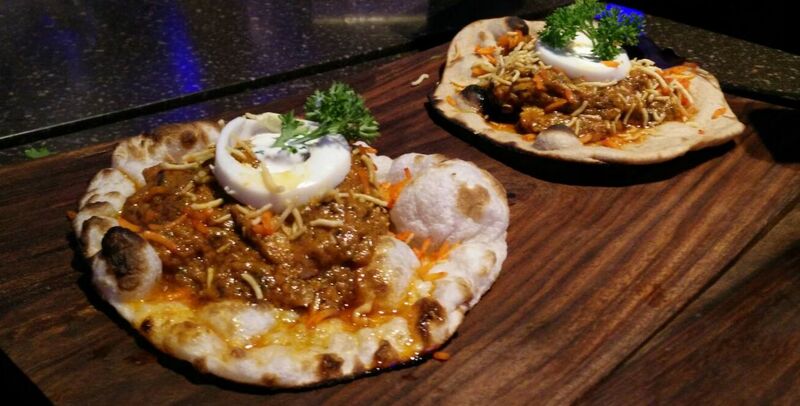 A new offering at Underdoggs, Naan Rolls, is a must try for all food lovers. The presentation is that of a small naan with a mound of curry on it and is available in both vegetarian as well as non-vegetarian variety. Rish, the CO-CEO of Underdoggs Sports bar and Grill explained that it is meant to be eaten by folding the naan up, much like an Indian taco. While the taste is exquisite and packs quite a punch, it would be better with the naans being a bit harder and the quantity of the curry on the naan being a bit less as it is too easy to spill out the contents while folding and eating. 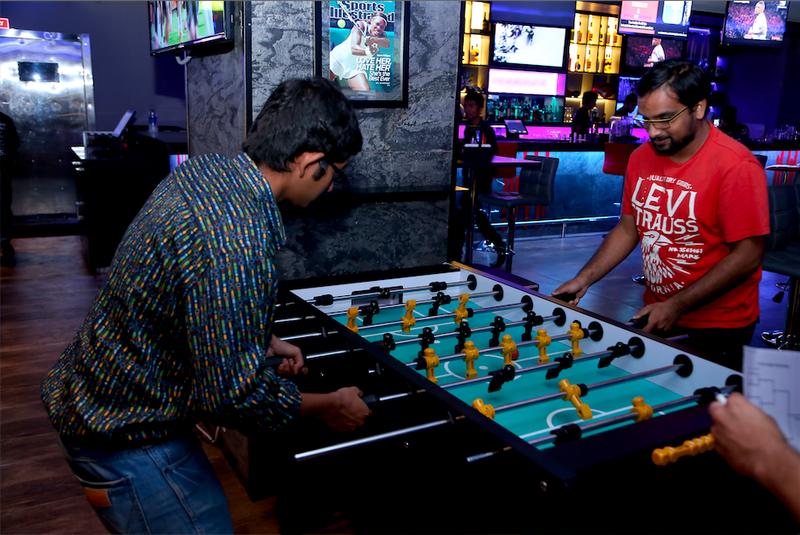 One of the many sports bars in Bangalore, Underdoggs hasn't yet been tapped by any football fan club to showcase its matches but shows great potential in becoming one of the more well known ones along with Dugout and Xtreme. VIPTable: www.viptable.in offers reservation of tables at Underdoggs and many other vrestaurants in Bangalore and Hyderabad. Download their app on your mobile and start reserving your tables in select restaurants.